Elementary Matters: Active Students? Try Scoot! Today I'm sharing a game that helped me through those last hectic weeks of school where the kiddos just couldn't concentrate on much of anything...Scoot! 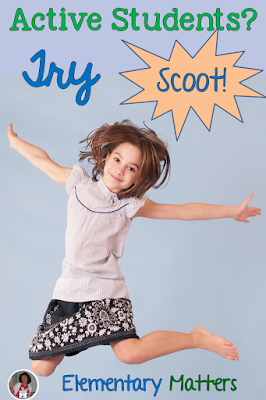 All you need to play scoot is a set of task cards (I know we all have plenty of those!) an answer sheet, and some desks or tables. 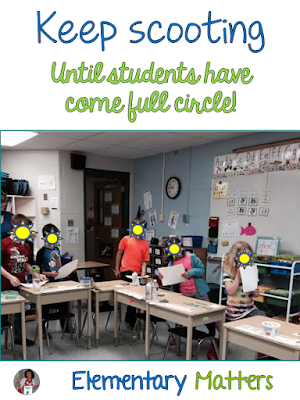 In the picture above, we put the desks into a big square, which is perfect for scoot, but rows, tables, or sets of desks in any arrangement can work. You just need to set a pattern for movement. There is a numbered task card on each desk. Students do the task card at their desk, and write their answer on the answer sheet. 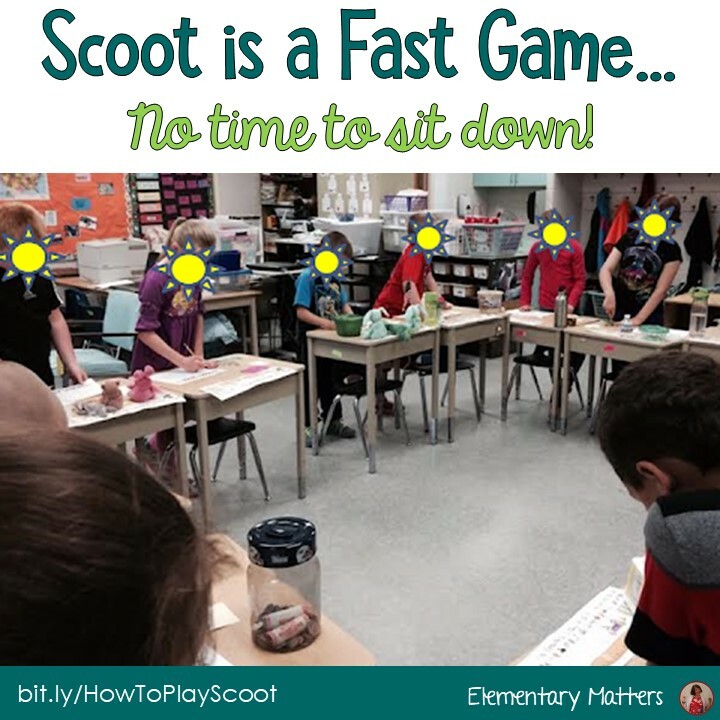 When the teacher calls "Scoot", the children all move to the next desk in the sequence, and do that task card. Children continue to "scoot" from desk to desk until all cards have been completed. 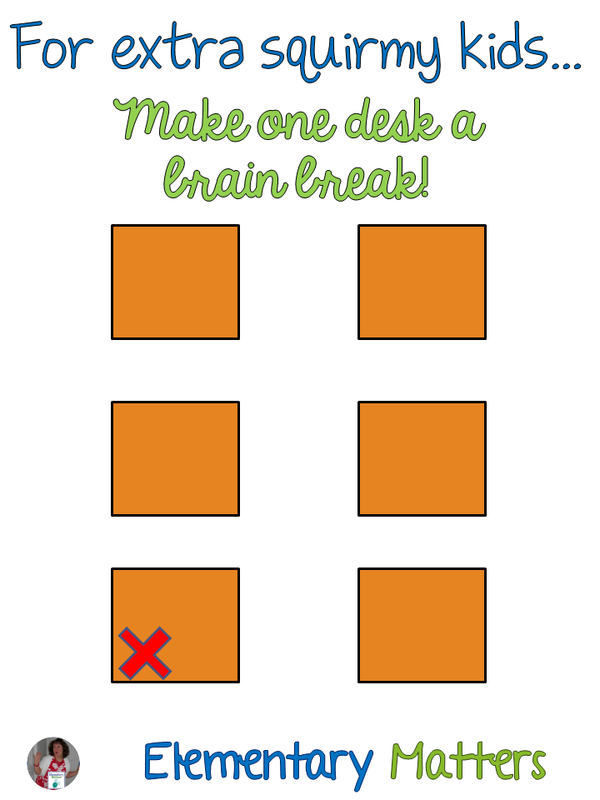 For added fun for squirmy kids, replace one of the task cards with a brain break. 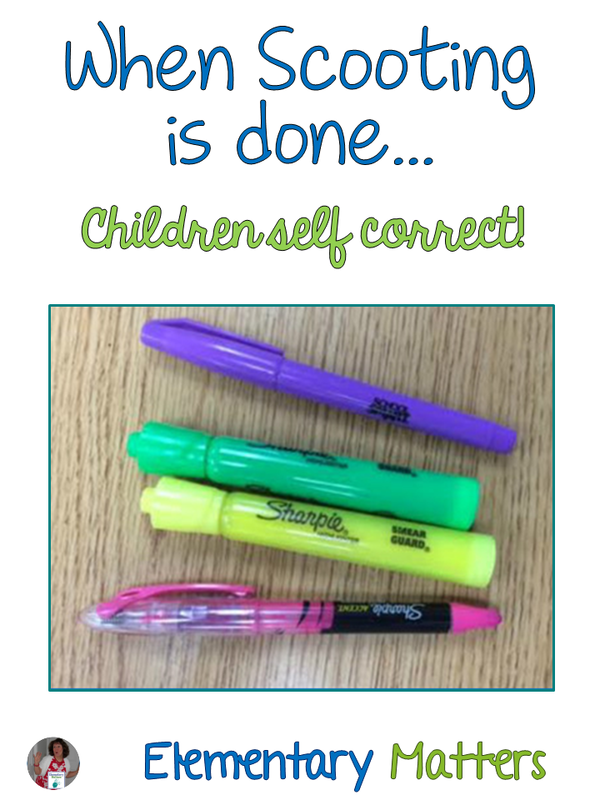 My kids LOVE brain breaks, and look forward to that part of scoot! If you're interested in task cards that work well with scoot, see THIS LINK. Want to try it out with a freebie? How do you keep your active students learning? 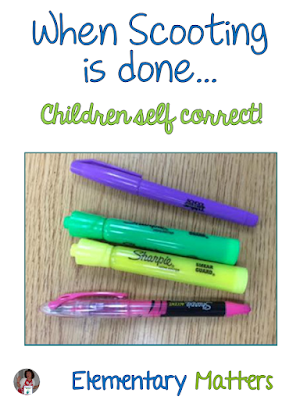 I love the idea of adding a brain break in combination with a scoot game!! So clever!! 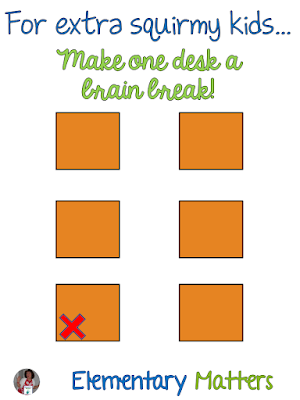 love the empty desk, brain break idea....using that next time!!!! Thanks! The kiddos love the break!